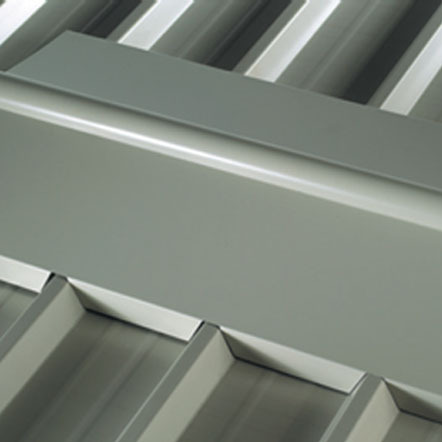 Galvanized steel colour brown or any colour of choice: thickness 6/10 or 8/10 bent and crushed in accordance with the best working standards for: Angled steel sections, Internal and external Fixing Angles, drip edge over the (tongue and Groove) joining panels, roof drip edging of gutter and ridge cap. GALVANIZED ‘U’ Channel thickness 10/10 for all fixing profiles of the walls on concrete floor. The material conserves its radiant qualities for a small eternity, thanks to the special protective patina that naturally forms on the exposed surface. which further reacts with water molecules in the air to form zinc hydroxide.